What was that sound? Was that summer zooming by? Back to School time is just around the corner, and as a busy mom of two, I’m always looking for ways to plan ahead and make our crazy life a little simpler, especially during the school year. If one of those ways saves me time and money, it’s even better! One of my favorite quick and easy recipes is Baked Ziti. In less than an hour I can have a delicious tray of this pasta favorite on the dinner table, and there’s always enough for leftovers the next day! My youngest in particular loves pasta, so any day he can pack pasta for his school lunch is a good day! Cook two pounds of ground beef until brown. To season, we use salt, pepper, cumin, garlic and onion (usually the powdered kind, to save time! ), 2 tablespoons of tomato sauce, and 1/2 cup of dry white or cooking wine. As the ground beef browns, boil your favorite pasta in a large pot. We call it Baked Ziti, but it’s not always Ziti. You can use Farfalle, Penne, and even Macaroni. As you wait for the pasta to become Al Dente, start pre-heating your oven at 375 degrees. Once the pasta is ready, with the ground beef browned and drained, mix it all together in the pot and add your favorite Prego Italian sauce. We always have at least three different flavors of Prego Italian Sauce at home: hubby prefers the one with mushrooms, I like the Three Cheese, and the boys like the classic Italian or meat sauce. Stir in the sauce and mix well, making sure the sauce covers all the pasta. Pour all the contents of the pot into a baking dish. I prefer the glass kind, but aluminum or ceramic ones work just as well. Add some shredded mozzarella or Italian mix cheese to the top, and heat just long enough for the cheese to melt, about 10-12 minutes. ¡Que Rico! So delicious, and perfect for lunch or dinner leftovers the next day! Pace Salsa: With genuine South West flavor and made with handpicked vegetables, Pace Salsa is perfect as a snack with a serving of chips, or as an ingredient for dinner (Taco Tuesday, anyone?). Prego Italian Sauce: Prego Italian Sauce is the better tasting Italian Pasta sauce. A family favorite, we love its hearty, homemade taste. Prego Italian Sauce has the perfect blend of sweet and savory Italian flavor, and comes in a variety of flavors to satisfy everyone’s tastebuds. Campbell’s Chicken Noodle Soup: Loved by kids and adults for generations, this classic comes in dozens of flavors that taste great and nourish the entire family. Combine with your favorite sandwich or top with your favorite garnish for a delicious meal. Mi abuelita liked to add white rice to the chicken noodle soup, and adding rice to soups and stews is one of my favorite ways to eat them! 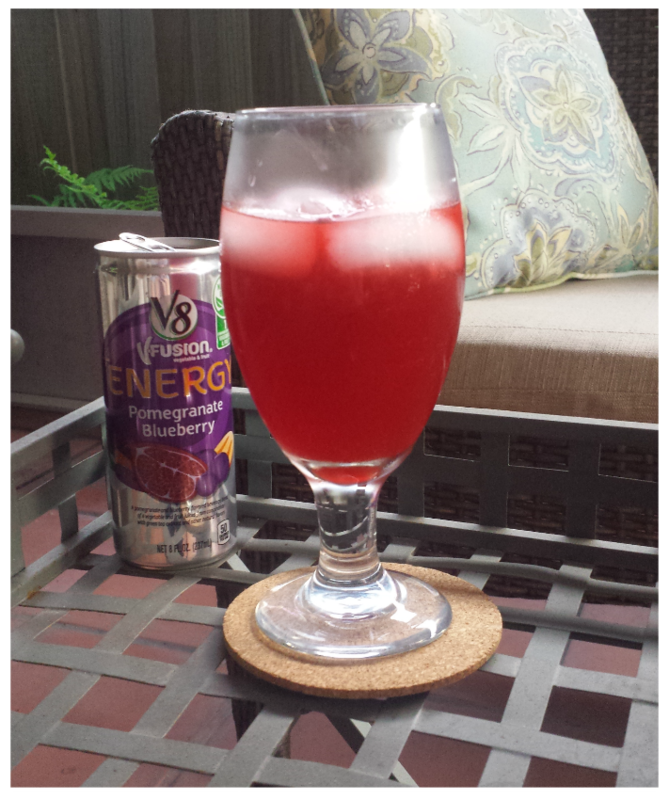 V8+Energy: With a great fruit taste, and just 50 calories per 8–ounce serving, V8+Energy is an excellent alternative to unhealthy options that help get you through the day, like sodas, coffee, and sugary snacks. Thanks to online coupons available for Pace Salsa, Prego Italian Sauce, Campbell’s Chicken Noodle Soup, and V8 + Energy drinks, I can stock up our pantry at Walmart and get to meal-planning! I have the luxury of working about five minutes from home, so having a few cans of Campbells soup in my pantry helps me supplement a sandwich, and I can avoid heading to the drive-thru. And the V8+Energy in the refrigerator gives me the boost I need in the middle of the afternoon when I need a little pick-me-up. How are you getting ready for Back to School? What favorite meals are you planning for those busy weeknights? This entry was posted in Deals and Discounts, Feed Me, Life Happens, Life with Boys. Bookmark the permalink. That recipe is getting me mega hungry! I am trying it tonight!